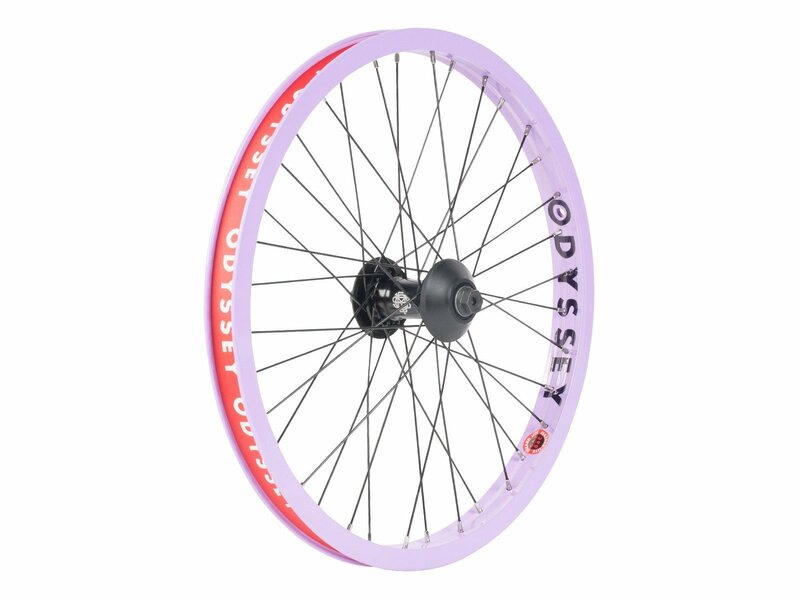 The Odyssey BMX "Hazard Lite X Vandero Pro" Front Wheel is a very strongly made and nice looking 20" wheel made of best Odyssey quality. 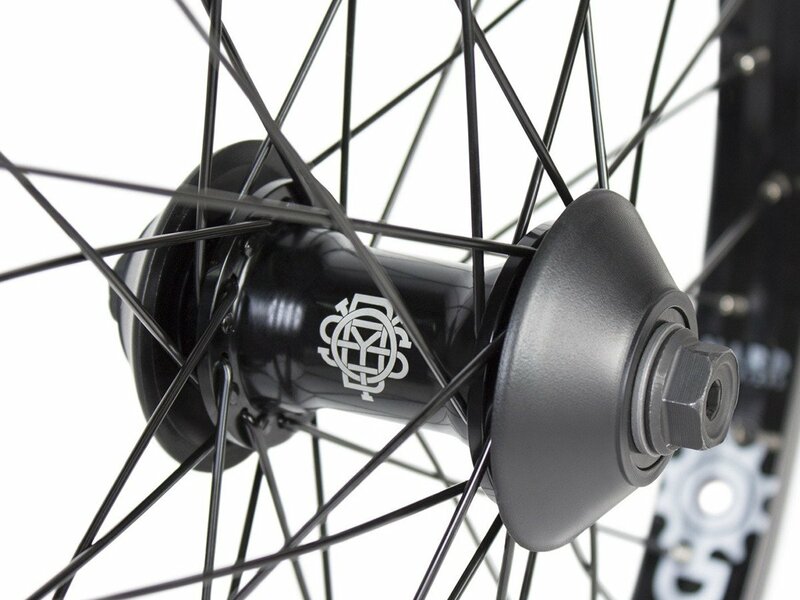 The Odyssey BMX "Hazard Lite X Vandero Pro" Front Wheel comes with a 17mm female axle with Helicoils inside and a solid Odyssey "Hazard Lite" rim doublewall rim and includes already 2x Odyssey "Vandero Pro" Nylon Hubguards. 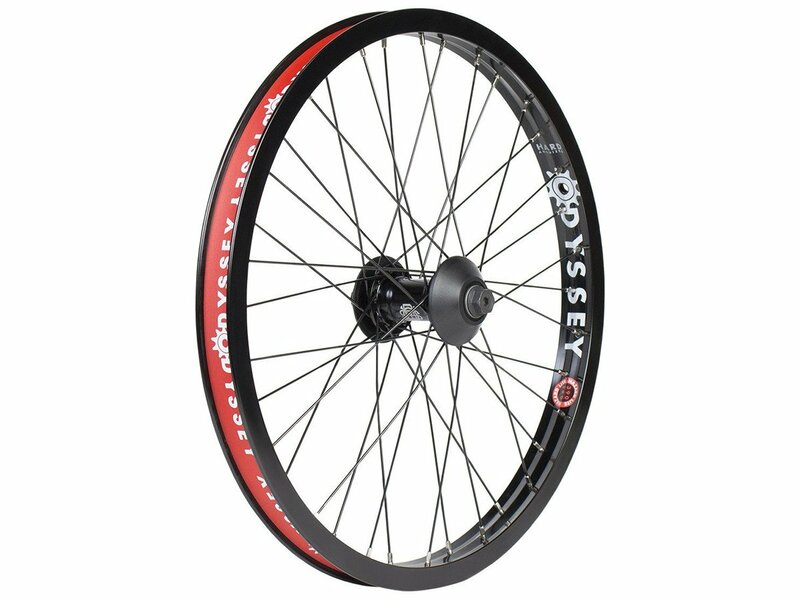 Hub: Odyssey "Vandero Pro" 36h. Rim: Odyssey "Hazard Lite" doublewall 36h.